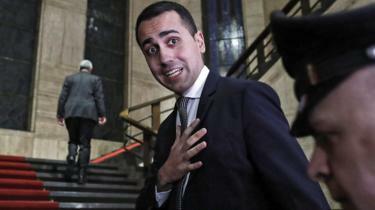 Relations between the two countries have been tense since Italy’s populist Five Star Movement and right-wing League party formed a coalition government in June 2018. He posted a picture of himself on Twitter with a group including Ingrid Levavasseur, who is heading a yellow-vest list for elections to the European Parliament in May. Italy’s fellow Deputy Prime Minister Matteo Salvini later sought to ease tensions, saying he would be happy to hold talks with President Emmanuel Macron. On Wednesday, the French foreign ministry called Mr Di Maio’s visit a “new provocation” that was “unacceptable between neighbouring countries and partners at the heart of the EU”. The BBC’s Mr Ben Rory, in Paris says the row represents a new low in the fast deteriorating relationship between Paris and Rome. Much of the tension between the two countries has been about migration. France has also grown impatient with Italy over the building of a Lyon to Turin high-speed rail link which the Italian coalition partners cannot agree on. 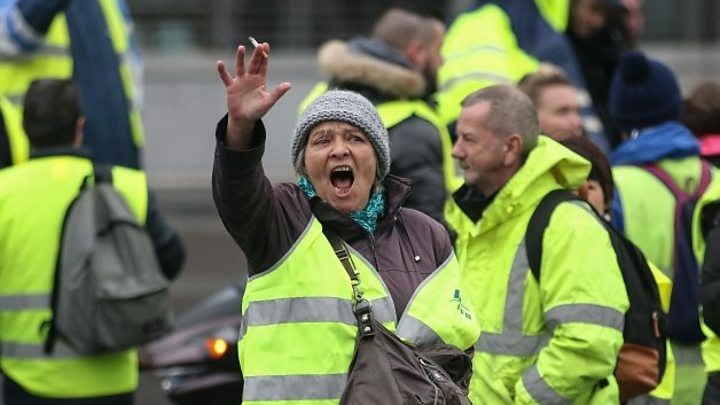 The gilets jaunes protesters first took to the streets in November, angered by fuel tax increases. They said the measure hurt those who lived in remote areas of France and who depended on cars. ← Brexit: What’s behind Corbyn’s letter to May?